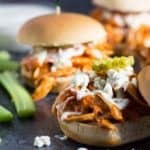 These Shredded Buffalo Chicken Sliders are SO delicious and SO EASY to make… I can assure you they’ll be a hit! 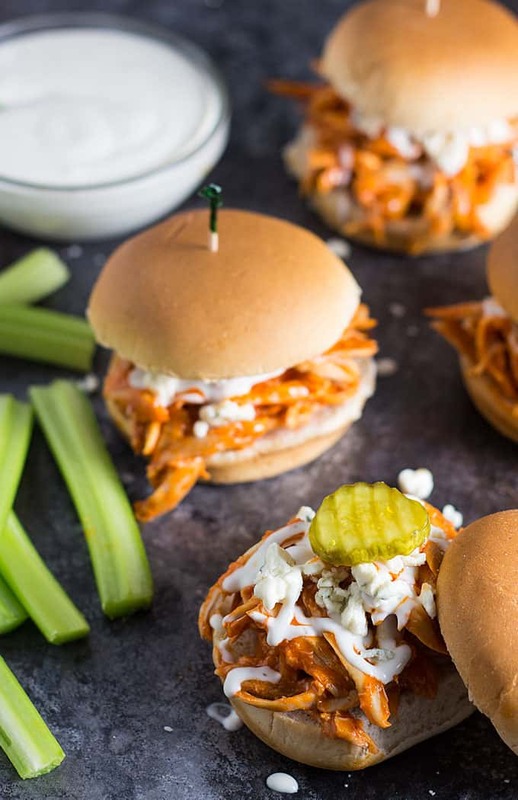 This is just about as easy as it gets when making buffalo chicken sliders. 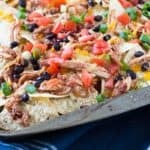 I had some leftover shredded chicken from the rotisserie chicken I used to make Barbecue Chicken Nachos earlier this week. Have I expressed enough how much I love the convenience of grocery store rotisserie chicken?! Heck yeah these are so simple (and delicious!). 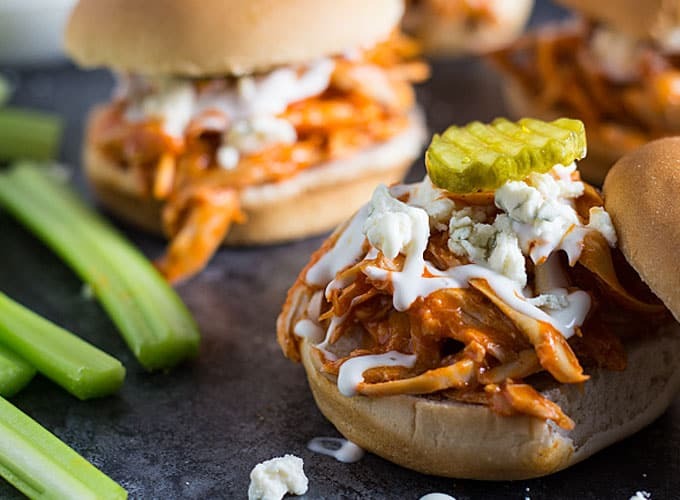 These sliders make a perfect appetizer or meal and they come together CRAZY FAST when you use a rotisserie chicken. You can also cook chicken breasts in your slow cooker (3-4 hours on high and 7-8 hours on low) and shred them — still easy! 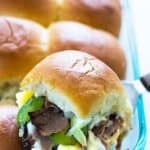 This recipe makes 12 generous sliders that are full of robust flavor and so simple to make! In a medium saucepan over medium high heat, melt butter. 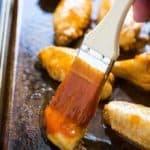 Add buffalo sauce, honey, garlic powder, seasoned salt and red pepper. Stir well to combine. Bring just to a gentle boil and remove from heat. 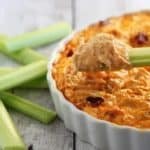 Add shredded chicken to saucepan and toss with a fork to evenly coat chicken. 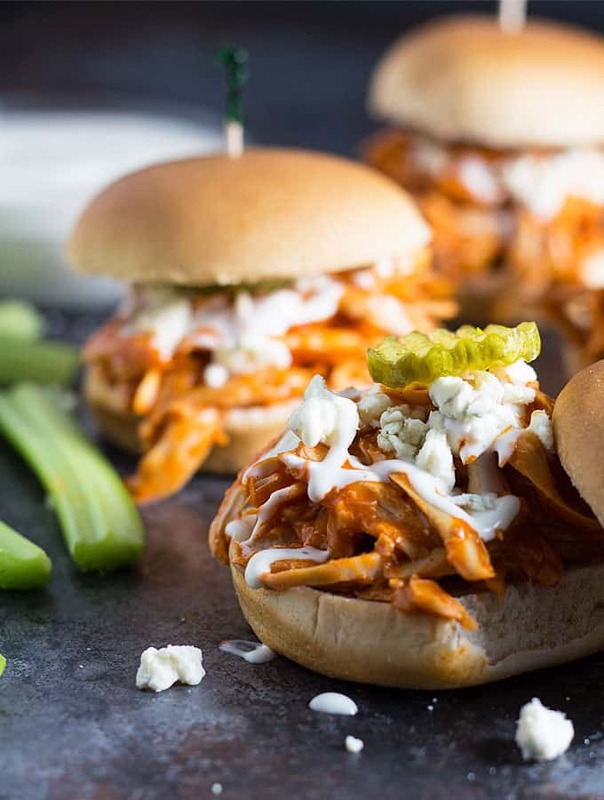 Place chicken on warm slider buns and top with desired amounts of ranch dressing and crumbled blue cheese. 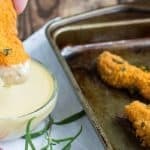 im making this now w chicken tenderloins… would you say that the 3-4 hours on high is good for them? 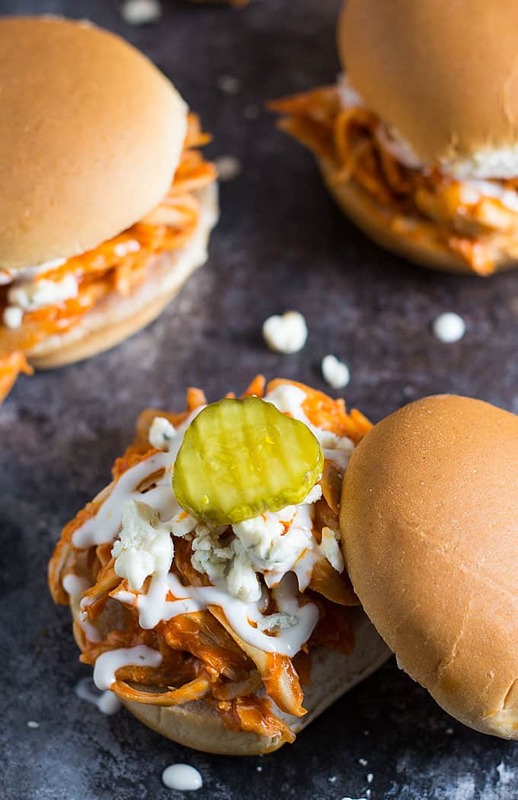 I love trying all kinds of sliders, especially buffalo chicken ones! I’ve probably googled them all! I just tried the ones from Ohsodelicioso and I liked the idea they had about baking them. It worked really well with Hawaiian rolls. Do you ever bake yours, or stick to the method you have here? Hi Clark… I’ve never baked them but that sounds delicious as well! 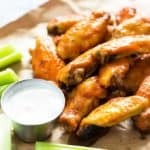 Making these for a work “tailgating” party tomorrow. Can’t wait! Thanks so much!